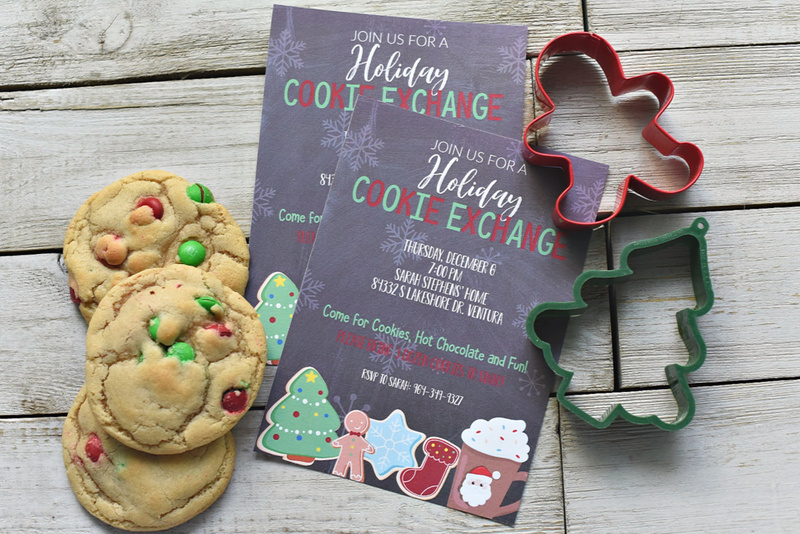 A Peek at the Fun: If you’re hosting a Christmas cookie party this year and need cookie exchange invitations, these cute, customizable ones are just the thing! Just print and you’re all set! Also features matching recipe cards. We’re loving the idea of hosting a Christmas cookie exchange this year because we love Christmas cookies. 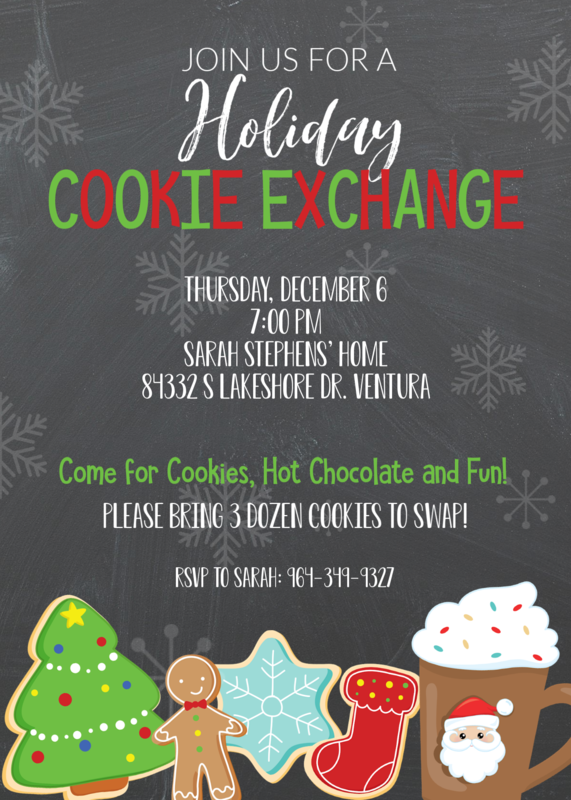 Any excuse to get together with friends and eat cookies is a good one to us, so why not throw a party? 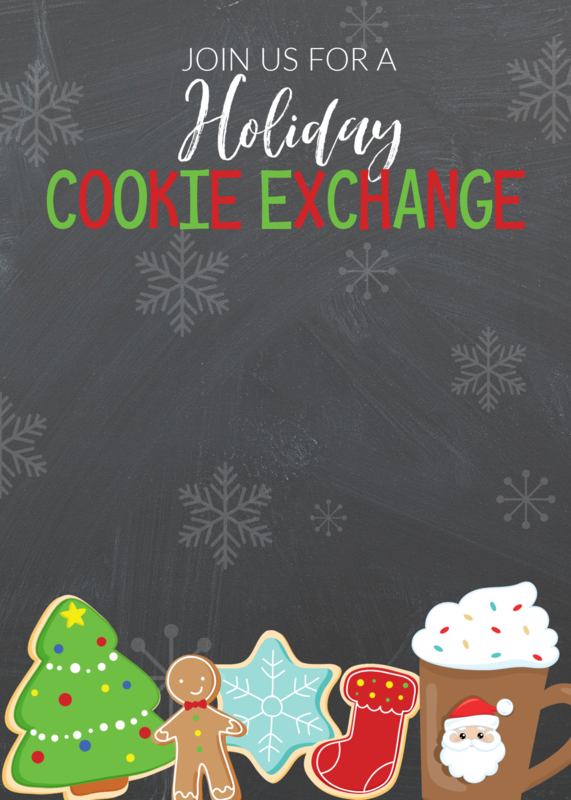 If you’re thinking of hosting a Christmas cookie swap this year and need some cute cookie exchange invitations, we think these are a fun and cute option! 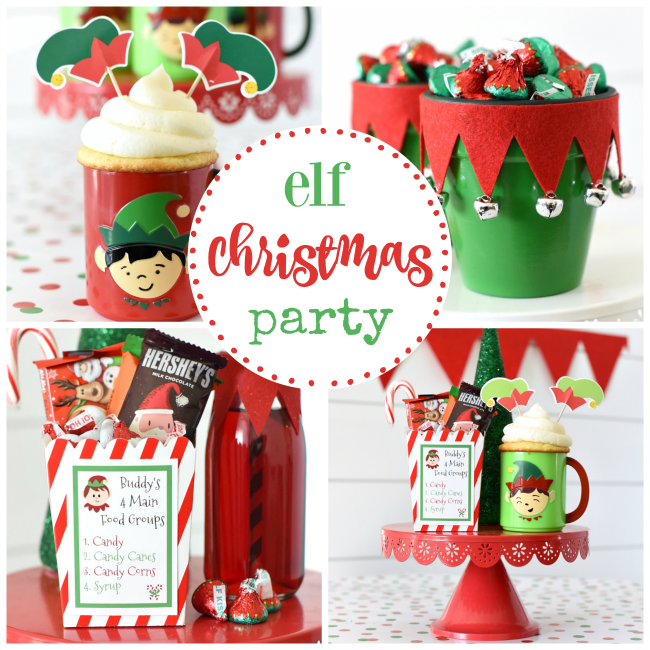 We’ve tried to make these nice and easy for you so you can focus on throwing your party! 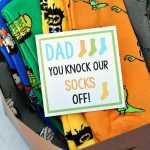 You can customize these and send them either in the mail or email them or text them-whatever works best for you! 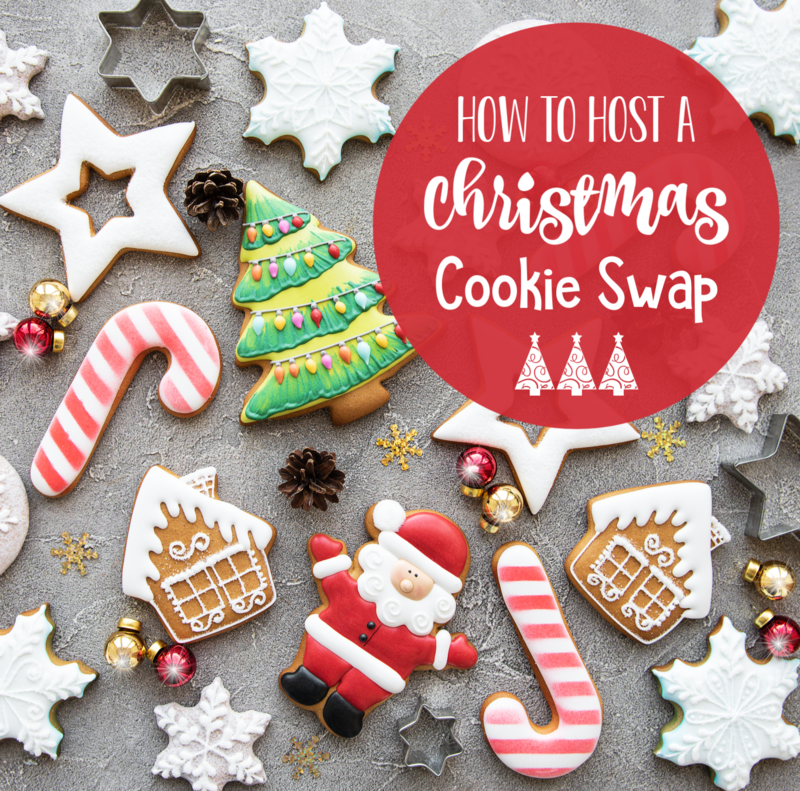 And here are some details on how to host a great cookie exchange! 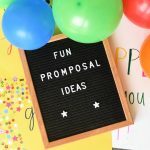 You can save these invitations and recipe cards to your computer and then customize them for your party and then send them to your guests! 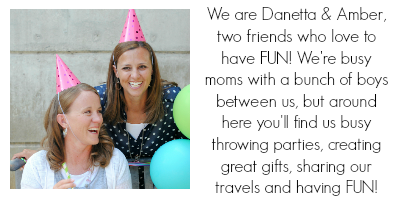 If you don’t know how to personalize your invitations, we have a tutorial for you here. You can do this! It’s not too hard. The fonts used are KG Do You Love Me regular, KG She Persisted regular, and Bloomishly Broad, but you can use any you want to customize yours. The graphics were purchased on Etsy from JWIllustrations. 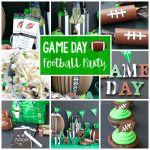 Then add your own text details for your party. 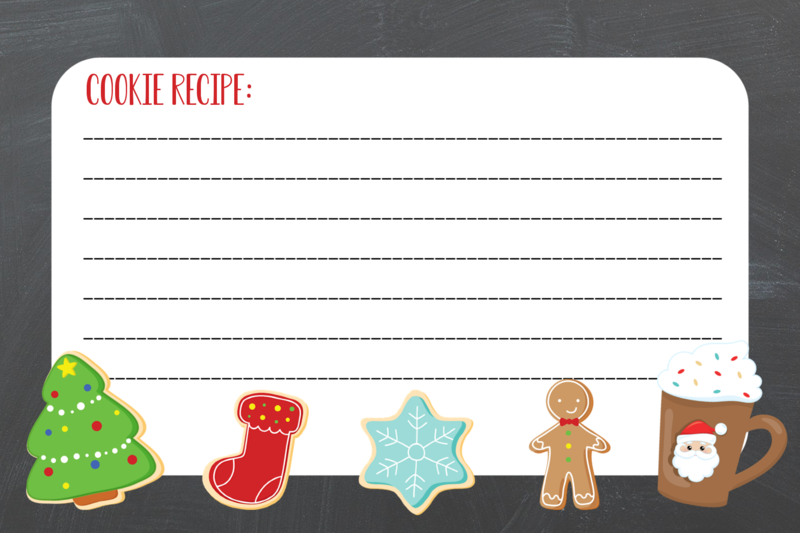 Here are some cute recipe cards that you can use to have your guests write their cookie recipes. You can either save these to your computer and print or here’s a PDF with a couple on it, ready to go. 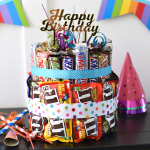 Hopefully, these help you make this the best party ever! 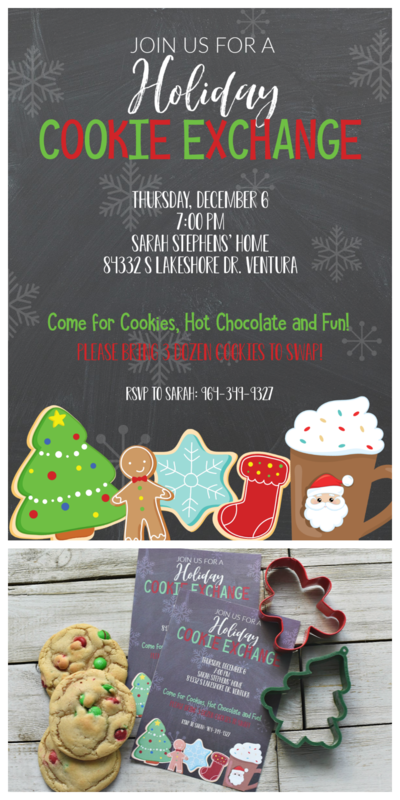 Have FUN using these cookie exchange invitations for your party!